Take a bow, Tottenham. Your clubs are killing it right now. Worldwide icon-chevron-right Europe icon-chevron-right United Kingdom icon-chevron-right England icon-chevron-right London icon-chevron-right Take a bow, Tottenham. Your clubs are killing it right now. 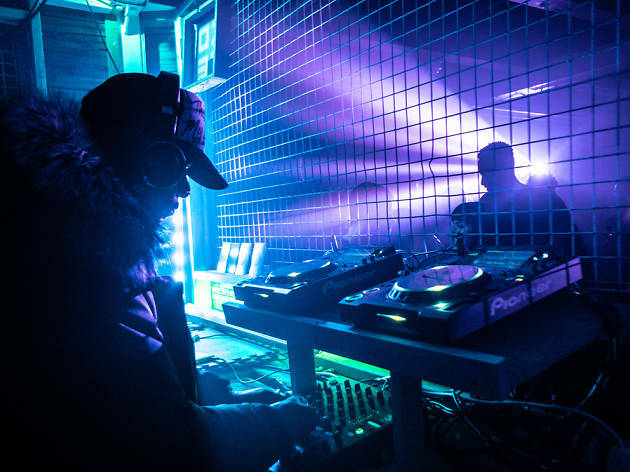 Tottenham is the fertile new ground for nightlife in London and two new warehousey venues on the same road in Tottenham Hale demonstrate that fact in style. The Cause is a former mechanics depot with a 400 capacity and a great ethos, while Grow Tottenham is literally fertile: it’s a community garden as well as a club venue. As the name suggests, The Cause exists to do good too. Glen and co-founder Eugene Wild aim to use the venue to fundraise for Mind in Haringey, Calm and Help Musicians UK, with an affordable membership scheme with a selection of nifty perks, as explained on the venue’s Crowdfunder. ‘We’re hoping that the DJs who’ve been so vocal about mental health in dance music will give us a chance and play for us, so we can all raise awareness of such an important issue,’ says Glen. On the night Time Out visits, both spaces are definitely full of party potential. For their joint launches, both venues are open together to give a combined 600 capacity. As we walk in it’s barely 11pm and already the DJ is pumping out Skatt Bros ‘Walk the Night’. The Cause’s dancefloor is humming. The Cause’s former status as a garage is obvious, with a storage cage still out on the dancefloor (people are dancing in it gone midnight, of course). 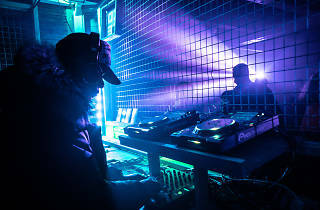 Having the booth placed centrally means that people can dance right round the DJ, as they do when Chicago house hero Marshall Jefferson comes on to christen the venue. The Core soundsystem is designed by ‘a couple of guys I know from doing underground parties’ Glen explains. ‘We wanted to give them a shot, even though we had bigger names already pitching for it.’ McGann later tells us that Grow, which is reminiscent of Corsica Studios’ Room 2, also has a soundsystem built by two 21-year-olds he knows from partying. Both promoters are keen to give local people a chance and are palpably enthusiastic. And when Joe Smooth’s ‘Promised Land’ echoes through The Cause as the dancefloor fills, it’s hard not to feel like they’re doing something really special here. The Cause and Grow Tottenham are at Ashley House in Tottenham Hale. San Proper plays The Cause on May 11, World Unknown is on May 12.